Barb Becker is a woman who is described as giving, as someone who reaches out, is full of compassion and is very caring. She has worked for the McKenzie County Healthcare Systems hospital, the McKenzie County Sheriff’s Department, and has been the pastor of the Glory of the Lord Family Ministries Church for the past 14 years. But it is her humility and the fact that she has been a person that goes above and beyond the call, that has made her this year’s McKenzie County Farmer “Heart of Gold” recipient. Becker came to Watford City as a single mother during the state’s last oil boom. She describes herself as wild, and states that she came to be a truck driver. What she got instead was a changed life. According to one of Becker’s good friends and former co-worker, Rita Hovet, Becker was the first female truck driver in the oilfield during the second oil boom. “I actually heard about her before I met her. She had that kind of reputation,” states Hovet. Becker was addicted to drugs and alcohol, and one day found herself at an Aglow International meeting. Aglow International was a non-denominational women’s ministry in Watford City during the second oil boom that Hovet was involved with. Hovet states that she did not like Becker at first. Becker is a person who never seems to run out on a zeal for life, or for her compassion of recognizing what people are going through. While people could credit Becker for the things she does, Becker instead credits others, stating that God is her example. Becker has done this in so many different ways. She became a part of the Aglow International ministry that, as she states, taught her how to minister to others. She has served people through working for the hospital as a Certified Nurses Aide and working at the Sheriff’s Department as a dispatcher. She also serves people through her current position of pastor. Her service, however, goes beyond denominations and beyond borders. 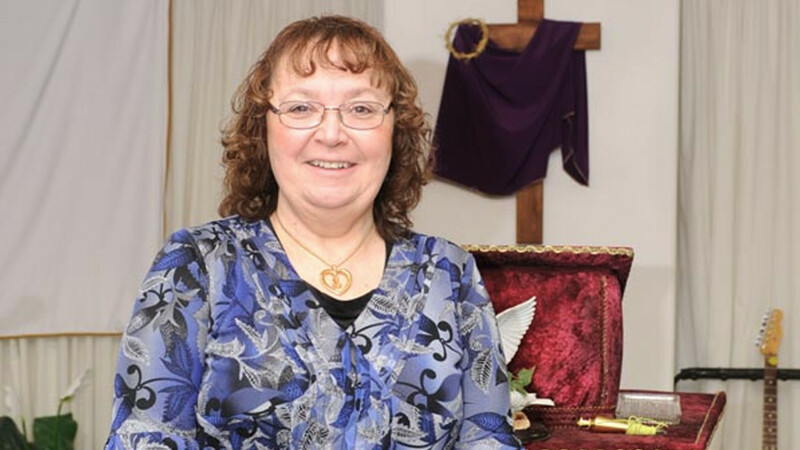 She leads more than one non-denominational Bible Study a week, welcoming in anyone from anywhere, and she has been on mission trips to Guatemala, the Philippines, Peru, Brazil and to Pikangikum, Ontario. But probably the way she has served the people of her community of Watford City the most is through her work with the McKenzie County Salvation Army. She agreed. She became The Salvation Army representative for McKenzie County. At that time, there was no committee. Oftentimes, it would be Becker ringing the bell for the annual kettle drive. And it was Becker who would be finding someone a place to stay, clothes to wear and/or food to eat. “Barb’s contribution to the work of The Salvation Army in McKenzie County has been integral during major disasters, as well as the needs that result from the overwhelming oil growth the McKenzie County area has recently experienced,” states Faye Miller, Planned Giving representative for The Salvation Army in North Dakota. For 14 years, Becker was the organization’s point person, until this year when The Salvation Army decided to expand its presence in McKenzie County and form a committee. While she no longer chairs the committee, by no means is Becker done with her work with The Salvation Army. She continues to work side by side with those who have chosen to get involved with The Salvation Army, stating that any honor she receives from her work with The Salvation Army is a shared honor. Becker on the other hand believes that any honor she receives must be given to God. It is God that has made Becker who she is today. It is God that has set the example. And it is God that has made it possible for her to do what she does. “He writes his word on our hearts, so anything we are has to come back to him,” states Becker. Becker has traded her love of drugs and alcohol for a love of service to the one who gave her new life. She is someone who serves wherever she is, to whomever she finds in need. And she knows that she would not be this way were it not for the way that people have given to her. Barb Becker is a woman who is truly worthy to be this year’s McKenzie County Farmer’s “Heart of Gold” recipient.